Last but not least, you will find another programmable RGB-LED behind the door of the Advent calendar. 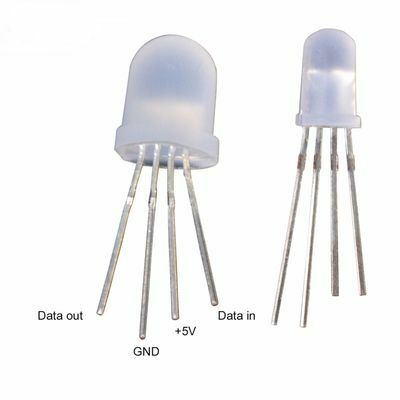 Thus, we have two LEDs which you can interconnect to light your Christmas tree. We will need the following setup today. Activate the program and import the flow of today. Disable all previous flows and change the broadcast IP of the UDP node, if necessary. The flow contains some user interface elements, among them two colour pickers to control the two LEDs. But there are two more elements, a switch and an element for setting a number. 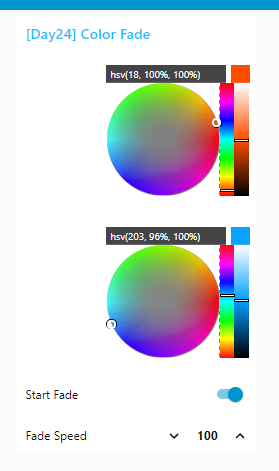 If you press the button, you will see how the two-colour picker elements change. 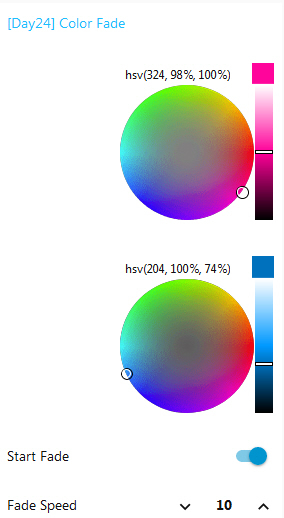 The circle that displays the current colour value is constantly moving in a circle. 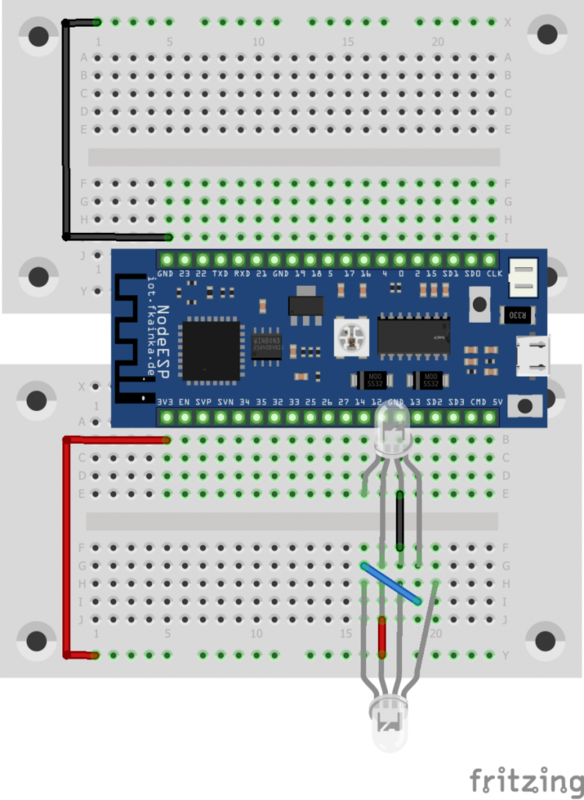 Likewise, the colours of the two LEDs on the NodeESP board are changing too. You have also the option to change the fade-speed time and thus, the changes become either lower or faster. On top of that is the option to change the colour of an LED during fading. The flow then continues from the new point. Overall this is a cute lighting idea for your Christmas tree. On that note, I wish you all a Merry Christmas.